The 2019 Calendar of Events can be found here (pdf document). Forthcoming events for which booking is open are listed below. 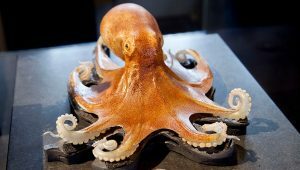 Join Miranda Lowe, Principal Curator of Crustaceans, as she discusses the intricate Blaschka glass marine animal models in the Museum’s collection. With over two decades of collections management and curatorial experience, Miranda cares for a plethora of historically important specimens such as crabs, lobsters and crayfish, in addition to the beautiful Blaschka glass models. Miranda will be joined by Artist Freeman Elizabeth Welch who will talk about the art of glass-blowing. Miranda and Elizabeth are experts in their fields, and they have come together to share with you their passion for the Blaschka models. Full details are here. 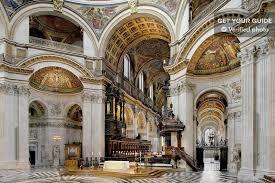 The 365th Festival of the Sons & Friends of the Clergy Service will take place at St Paul’s Cathedral on Tuesday 21st May 2019, at 5pm (please be seated by 4.40pm). This service is attended by most of the City Livery Companies and Guilds, and it takes place in the presence of the Lord Mayor, Sheriffs, and Aldermen. The preacher will be the Dean of Gloucester, the Very Reverend Stephen Lake. 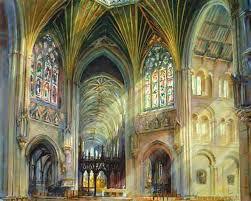 The choir of St Paul’s will be joined by the choirs of Canterbury and Coventry Cathedrals. Tickets for this service are free. If you would like to attend please let the Clerk know how many you require by Thursday 14th February. Tickets will be issued as soon as they are received (about mid-April). The Glaziers’ Annual Prize Giving, Reception and Presentation will take place at Glaziers’ Hall on Thursday 30th May 2019. This is our flagship event which celebrates and supports new, student and emerging glass artists, designers and conservators. Guests and non-members are most welcome. The evening starts at 5.45 with coffee and tea in the Foyer followed by the prize-giving, a drinks reception giving an opportunity to view the entries for the Stevens Competition and to meet the students and winners of the Competition and Awards. There will then be a presentation by Anne-Catherine Perreau, winner of the 2017 Travelling Scholarship, and the evening finishes with a light supper including wine. 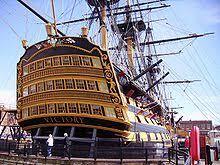 The weekend will be focused in and around the Historic Dockyard and other parts of the city. We shall be staying in the boutique hotels of the Mercer Collection in Southsea. The weekend will include visits to Portsmouth Cathedral, the Royal Garrison Church, the Mary Rose and St Anne’s Church in the Royal Naval Base. Two dinners are included, in the Portsmouth Guildhall and on the lower gun deck of HMS Victory with pre-dinner drinks on board one of HM Naval ships. Further details, together with a booking form, are here.